02/16/2010 Phil Pickens Festivals, Upcoming Events Comments Off on Sasquatch! 2010 Lineup! Announced! …And now, ladies and gentlemen, what you’ve been waiting for! 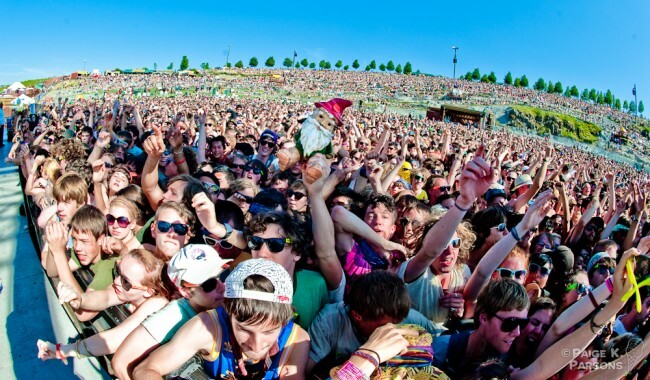 The Nationwide craze of music festivals keeps rolling with the announcement of the 2010 Sasquatch lineup. It’s one of the first festivals of the festival season and happens May 29th-31st at The Gorge in Quincy, Washington. Sasquatch supports the up and comers of the Seattle music scene, which these days is surprisingly hip hop heavy; Shabazz Palaces and Fresh Espresso should expect to make a lot of new friends at the festival. There are no jaw-dropping/mega rock star headliners; Interpol and Soundgarden were some of the rumored names being thrown around in the last few weeks – this lineup is better without them. If I can be coerced into going, I’ll be doing it to see Massive Attack, LCD Soundsystem (my husband), No Age, Caribou, Tune-Yards, Public Enemy, Hudson Mowhake, Shabazz Palaces and She & Him; just so I can see Zooey Deschanel (my wife) in person. View Paige’s Best of Sasquatch 2009 photos. I won’t process all 2,500 images from yesterday till I’m at home next week, but here are a few favorites from yesterday.